In my previous post declaring body independence I asserted “I have the right to expose my fleshy arms as I embrace my freedom”. And I firmly believe this. Yet I sometimes still have trouble doing it. I am now coming to love my upper arms after a long time of disenchantment. I have what my dear friend calls “hello-goodbye arms” (because they just keep on waving). But you know what? It’s HOT out there! I don’t like hot and I certainly don’t like wearing extra clothes when it’s hot. I’m coming to terms with my arms. Instead of “hello-goodbye arms”, I’ve got “guns” (pew, pew). I’ve got biceps. They are powerful and strong. I can lift babies. I can lift groceries. In fact my arms are almost strong enough to hoist my insecurities. So my little chicklettes, ask yourself in these sweltering days? What gorgeous part of you are you hiding from the world? What are you keeping under wraps? Why not use this summer heat to shed a little insecurity, and just a little more clothing? 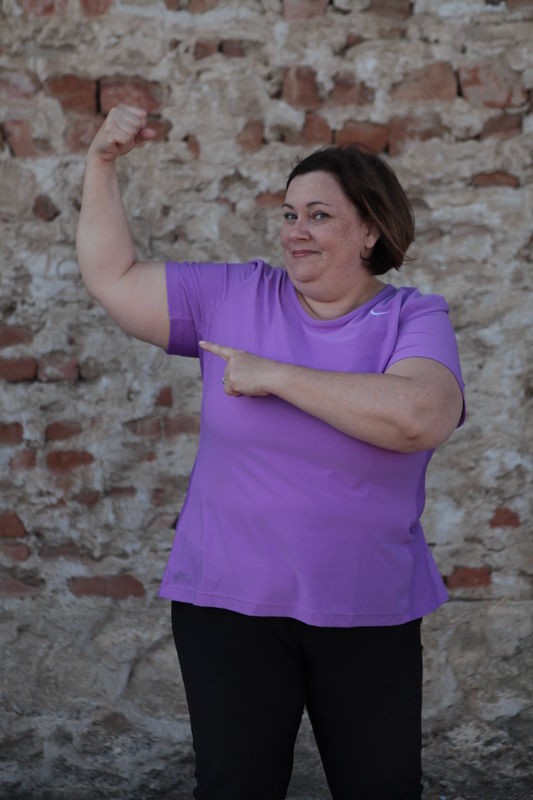 This entry was posted in Uncategorized and tagged Bare Arms, bare your arms, Baring All, biceps, body acceptance, guns, HAES, Health At Every Size, hello goodbye arms, love your arms, size acceptance, skin, Summertime on July 20, 2012 by fatchicksings.